Make sure to follow a pre-departure checklist every time you leave the pier. Your Pre-Departure Checklist should at least include enough life jackets for everyone onboard, sound producing device (horns or whistles), flashlights, and distress signals (flares). You may also want to add tools and spares for your boat, fire extinguishers and fuel. The weather is your best ally on the open waters. Always check the conditions of your local weather before and during departure. Tune into radio forecasts because nature can suddenly change its course. If there are any rough changes in the winds or sudden temperature drop, play it safe and get to dry land. Another important part of sailing is to have another assistant Skipper or at least another second in command person onboard. This person must be familiar with all another aspect of the boat operations, and general safety. Make sure that you are not just the only person who knows how to handle your boat. Just in case you got injured (hopefully not) another person can take charge of the boat’s safety and can get everyone back to shore. Alcohol and water do not mix in any kind of occasions. The chances of accidents increased ten folds when alcohol is involved during the trip. Alcohol reduces mind logic and you would not want to be on the open seas without proper thinking. Common sense is the most important part of your boating trip, it’s all self-explanatory but it is also the most ignored trait. Common sense sailing means operating at a safe speed particularly in crowded areas, staying alert and keeping clear away from large vessels. Always check watercrafts for since some waterways can be restricted when turning or stopping. Another precaution to take is to check for buoys and other navigational aids. Those are safety measures placed for the safety of all boats and watercrafts. Most drowning victims are because boaters are not wearing lifejackets. 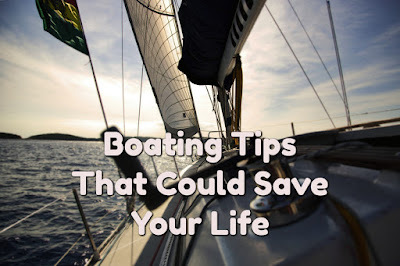 It is important that you stored sufficient life jackets onboard. Make sure these life-saving devices are easily accessible and everyone knows where to get lifejackets. Better yet, fit the lifejackets, make sure each passenger has their own before leaving for the open waters.